Painting exterior metal can be a challenge, especially in the cold. When cold outside you can’t feel your hands, face, etc. Imagine trying to work outside in such conditions. 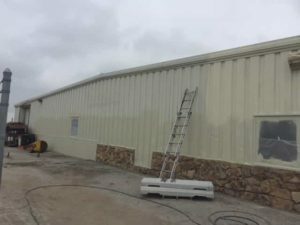 The biggest challenge with painting exterior metal in a cold environment is it tends to retain the cold and is slow to warm up during the day. 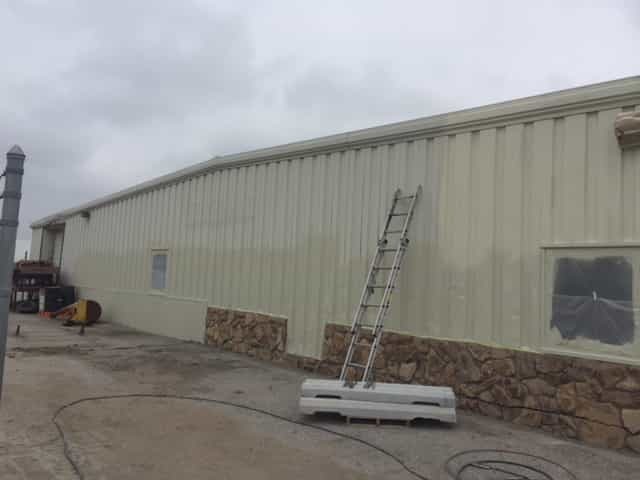 We were lucky enough to recently have a window of opportunity to paint a commercial exterior that was largely corrugated metal. We only had two days but made the most of them. We of course used a product that would work in the cooler climate. Sunproof is a good choice for colder weather painting. To be successful, stay well away from the days dew point temperature. Check to see what the temperature is dropping down to at night and wait several hours for things to warm up before you start laying down the paint. 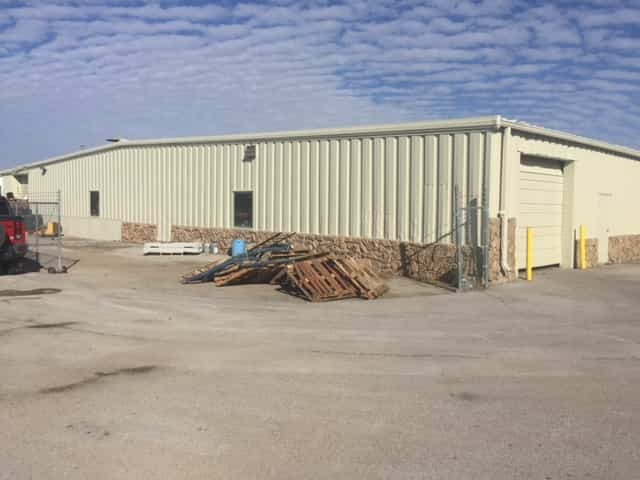 The North side of a structure can sometimes pose a challenge. The sun doesn’t have a chance to warm that side up. Waiting until the warmest part of the day for that side will help. Try to pick a day where the temperature is within the coatings range of temperature for 24 hours and don’t forget to stay away from the dew point temperature.